"Sufi" redirects here. For other uses, see Sufi (disambiguation). Sufism or Taṣawwuf (Arabic: الْتَّصَوُّف‎; personal noun: صُوفِيّ‎ ṣūfiyy / ṣūfī, مُتَصَوِّف‎ mutaṣawwif), variously defined as "Islamic mysticism", "the inward dimension of Islam" or "the phenomenon of mysticism within Islam", is mysticism in Islam, "characterized ... [by particular] values, ritual practices, doctrines and institutions" which began very early in Islamic history and represents "the main manifestation and the most important and central crystallization of" mystical practice in Islam. Practitioners of Sufism have been referred to as "Sufis" (Arabic plurals: صُوفِيَّة‎ ṣūfiyyah; صُوفِيُّون‎ ṣūfiyyūn; مُتَصَوُّفََة‎ mutaṣawwifah; مُتَصَوُّفُون‎ mutaṣawwifūn). Historically, Sufis have often belonged to different ṭuruq or "orders" – congregations formed around a grand master referred to as a wali who traces a direct chain of successive teachers back to the Islamic prophet, Muhammad. These orders meet for spiritual sessions (majalis) in meeting places known as zawiyas, khanqahs or tekke. They strive for ihsan (perfection of worship), as detailed in a hadith: "Ihsan is to worship Allah as if you see Him; if you can't see Him, surely He sees you." Sufis regard Muhammad as al-Insān al-Kāmil, the primary perfect man who exemplifies the morality of God, and see him as their leader and prime spiritual guide. Although the overwhelming majority of Sufis, both pre-modern and modern, were and are adherents of Sunni Islam, there also developed certain strands of Sufi practice within the ambit of Shia Islam during the late medieval period. Although Sufis were opposed to dry legalism, they strictly observed Islamic law and belonged to various schools of Islamic jurisprudence and theology. Sufis have been characterized by their asceticism, especially by their attachment to dhikr, the practice of remembrance of God, often performed after prayers. They gained adherents among a number of Muslims as a reaction against the worldliness of the early Umayyad Caliphate (661–750) and have spanned several continents and cultures over a millennium, initially expressing their beliefs in Arabic and later expanding into Persian, Turkish, and Urdu, among others. Sufis played an important role in the formation of Muslim societies through their missionary and educational activities. According to William Chittick, "In a broad sense, Sufism can be described as the interiorization, and intensification of Islamic faith and practice." Despite a relative decline of Sufi orders in the modern era and criticism of some aspects of Sufism by modernist thinkers and conservative Salafists, Sufism has continued to play an important role in the Islamic world, and has also influenced various forms of spirituality in the West. The Arabic word tasawwuf (lit. being or becoming a Sufi), generally translated as Sufism, is commonly defined by Western authors as Islamic mysticism. The Arabic term sufi has been used in Islamic literature with a wide range of meanings, by both proponents and opponents of Sufism. Classical Sufi texts, which stressed certain teachings and practices of the Quran and the sunnah (exemplary teachings and practices of the Islamic prophet Muhammad), gave definitions of tasawwuf that described ethical and spiritual goals[note 1] and functioned as teaching tools for their attainment. Many other terms that described particular spiritual qualities and roles were used instead in more practical contexts. The original meaning of sufi seems to have been "one who wears wool (ṣūf)", and the Encyclopaedia of Islam calls other etymological hypotheses "untenable". Woollen clothes were traditionally associated with ascetics and mystics. Al-Qushayri and Ibn Khaldun both rejected all possibilities other than ṣūf on linguistic grounds. Others have suggested that the word comes from the term ahl aṣ-ṣuffah ("the people of the bench"), who were a group of impoverished companions of Muhammad who held regular gatherings of dhikr. These men and women who sat at al-Masjid an-Nabawi are considered by some to be the first Sufis. According to Carl W. Ernst the earliest figures of Sufism are Muhammad himself and his companions (Sahabah). Sufi orders are based on the "bay‘ah" (بَيْعَة bay‘ah, مُبَايَعَة mubāya‘ah "pledge, allegiance") that was given to Muhammad by his Ṣahabah. By pledging allegiance to Muhammad, the Sahabah had committed themselves to the service of God. Sufis believe that by giving bayʿah (pledging allegiance) to a legitimate Sufi shaykh, one is pledging allegiance to Muhammad; therefore, a spiritual connection between the seeker and Muhammad is established. It is through Muhammad that Sufis aim to learn about, understand and connect with God. Ali is regarded as one of the major figures amongst the Sahaba who have directly pledged allegiance to Muhammad, and Sufis maintain that through Ali, knowledge about Muhammad and a connection with Muhammad may be attained. Such a concept may be understood by the hadith, which Sufis regard to be authentic, in which Muhammad said, "I am the city of knowledge and Ali is its gate". Eminent Sufis such as Ali Hujwiri refer to Ali as having a very high ranking in Tasawwuf. Furthermore, Junayd of Baghdad regarded Ali as sheikh of the principals and practices of Tasawwuf. Historian Jonathan A.C. Brown notes that during the lifetime of Muhammad, some companions were more inclined than others to "intensive devotion, pious abstemiousness and pondering the divine mysteries" more than Islam required, such as Abu Dhar al-Ghifari. Hasan al-Basri, a tabi, is considered a "founding figure" in the "science of purifying the heart". Modern academics and scholars have rejected early Orientalist theories asserting a non-Islamic origin of Sufism, The consensus is that it emerged in Western Asia. Many have asserted Sufism to be unique within the confines of the Islamic religion, and contend that Sufism developed from people like Bayazid Bastami, who, in his utmost reverence to the sunnah, refused to eat a watermelon because he did not find any proof that Muhammad ever ate it. According to the late medieval mystic Jami, Abd-Allah ibn Muhammad ibn al-Hanafiyyah (died c. 716) was the first person to be called a "Sufi". Important contributions in writing are attributed to Uwais al-Qarani, Hasan of Basra, Harith al-Muhasibi, Abu Nasr as-Sarraj and Said ibn al-Musayyib. Ruwaym, from the second generation of Sufis in Baghdad, was also an influential early figure, as was Junayd of Baghdad; a number of early practitioners of Sufism were disciples of one of the two. Sufism had a long history already before the subsequent institutionalization of Sufi teachings into devotional orders (tarîqât) in the early Middle Ages. The Naqshbandi order is a notable exception to general rule of orders tracing their spiritual lineage through Muhammad's grandsons, as it traces the origin of its teachings from Muhammad to the first Islamic Caliph, Abu Bakr. Over the years, Sufi orders have influenced and been adopted by various Shi'i movements, especially Isma'ilism, which led to the Safaviyya order's conversion to Shia Islam from Sunni Islam and the spread of Twelverism throughout Iran. Sufi orders include Ba 'Alawiyya, Badawiyya, Bektashi, Burhaniyya, Chishti, Khalwati, Mevlevi, Naqshbandi, Ni'matullāhī, Uwaisi, Qadiriyya, Qalandariyya, Rifa'i, Sarwari Qadiri, Shadhiliyya, Suhrawardiyya, Tijaniyyah, Zinda Shah Madariya, and others. Existing in both Sunni and Shia Islam, Sufism is not a distinct sect, as is sometimes erroneously assumed, but a method of approaching or a way of understanding the religion, which strives to take the regular practice of the religion to the "supererogatory level" through simultaneously "fulfilling ... [the obligatory] religious duties" and finding a "way and a means of striking a root through the 'narrow gate' in the depth of the soul out into the domain of the pure arid unimprisonable Spirit which itself opens out on to the Divinity." Academic studies of Sufism confirm that Sufism, as a separate tradition from Islam apart from so-called pure Islam, is frequently a product of Western orientalism and modern Islamic fundamentalists. As a mystic and ascetic aspect of Islam, it is considered as the part of Islamic teaching that deals with the purification of the inner self. By focusing on the more spiritual aspects of religion, Sufis strive to obtain direct experience of God by making use of "intuitive and emotional faculties" that one must be trained to use. Tasawwuf is regarded as a science of the soul that has always been an integral part of Orthodox Islam. In his Al-Risala al-Safadiyya, ibn Taymiyyah describes the Sufis as those who belong to the path of the Sunna and represent it in their teachings and writings. Ibn Taymiyya's Sufi inclinations and his reverence for Sufis like Abdul-Qadir Gilani can also be seen in his hundred-page commentary on Futuh al-ghayb, covering only five of the seventy-eight sermons of the book, but showing that he considered tasawwuf essential within the life of the Islamic community. In his commentary, Ibn Taymiyya stresses that the primacy of the sharia forms the soundest tradition in tasawwuf, and to argue this point he lists over a dozen early masters, as well as more contemporary shaykhs like his fellow Hanbalis, al-Ansari al-Harawi and Abdul-Qadir, and the latter's own shaykh, Hammad al-Dabbas the upright. He cites the early shaykhs (shuyukh al-salaf) such as Al-Fuḍayl ibn ‘Iyāḍ, Ibrahim ibn Adham, Ma`ruf al-Karkhi, Sirri Saqti, Junayd of Baghdad, and others of the early teachers, as well as Abdul-Qadir Gilani, Hammad, Abu al-Bayan and others of the later masters— that they do not permit the followers of the Sufi path to depart from the divinely legislated command and prohibition. In the eleventh-century, Sufism, which had previously been a less "codified" trend in Islamic piety, began to be "ordered and crystallized" into orders which have continued until the present day. All these orders were founded by a major Islamic scholar, and some of the largest and most widespread included the Qadiriyya (after Abdul-Qadir Gilani [d. 1166]), the Rifa'iyya (after Ahmed al-Rifa'i [d. 1182]), the Chishtiyya (after Moinuddin Chishti [d. 1236]), the Shadiliyya (after Abul Hasan ash-Shadhili [d. 1258]), the Hamadaniyyah (after Sayyid Ali Hamadani [d. 1384], the Naqshbandiyya (after Baha-ud-Din Naqshband Bukhari [d. 1389]). Contrary to popular perception in the West, however, neither the founders of these orders nor their followers ever considered themselves to be anything other than orthodox Sunni Muslims, and in fact all of these orders were attached to one of the four orthodox legal schools of Sunni Islam. Thus, the Qadiriyya order was Hanbali, with its founder, Abdul-Qadir Gilani, being a renowned jurist; the Chishtiyya was Hanafi; the Shadiliyya order was Maliki; and the Naqshbandiyya order was Hanafi. Thus, it is precisely because it is historically proven that "many of the most eminent defenders of Islamic orthodoxy, such as Abdul-Qadir Gilani, Ghazali, and the Sultan Ṣalāḥ ad-Dīn (Saladin) were connected with Sufism" that the popular studies of writers like Idries Shah are continuously disregarded by scholars as conveying the fallacious image that "Sufism" is somehow distinct from "Islam." Towards the end of the first millennium, a number of manuals began to be written summarizing the doctrines of Sufism and describing some typical Sufi practices. Two of the most famous of these are now available in English translation: the Kashf al-Mahjûb of Ali Hujwiri and the Risâla of Al-Qushayri. Two of al-Ghazali's greatest treatises are the Revival of Religious Sciences and what he termed "its essence", the Kimiya-yi sa'ādat. He argued that Sufism originated from the Qur'an and thus was compatible with mainstream Islamic thought and did not in any way contradict Islamic Law—being instead necessary to its complete fulfillment. Ongoing efforts by both traditionally trained Muslim scholars and Western academics are making al-Ghazali's works more widely available in English translation, allowing English-speaking readers to judge for themselves the compatibility of Islamic Law and Sufi doctrine. Several sections of the Revival of Religious Sciences have been published in translation by the Islamic Texts Society. An abridged translation (from an Urdu translation) of The Alchemy of Happiness was published by Claud Field (ISBN 978-0935782288) in 1910. It has been translated in full by Muhammad Asim Bilal (2001). A Mughal miniature dated from the early 1620s depicting the Mughal emperor Jahangir (d. 1627) preferring an audience with Sufi saint to his contemporaries, the Ottoman Sultan and the King of England James I (d. 1625); the picture is inscribed in Persian: "Though outwardly shahs stand before him, he fixes his gazes on dervishes." Historically, Sufism became "an incredibly important part of Islam" and "one of the most widespread and omnipresent aspects of Muslim life" in Islamic civilization from the early medieval period onwards, when it began to permeate nearly all major aspects of Sunni Islamic life in regions stretching from India and Iraq to the Balkans and Senegal. The rise of Islamic civilization coincides strongly with the spread of Sufi philosophy in Islam. The spread of Sufism has been considered a definitive factor in the spread of Islam, and in the creation of integrally Islamic cultures, especially in Africa and Asia. The Senussi tribes of Libya and the Sudan are one of the strongest adherents of Sufism. Sufi poets and philosophers such as Khoja Akhmet Yassawi, Rumi, and Attar of Nishapur (c. 1145 – c. 1221) greatly enhanced the spread of Islamic culture in Anatolia, Central Asia, and South Asia. Sufism also played a role in creating and propagating the culture of the Ottoman world, and in resisting European imperialism in North Africa and South Asia. Between the 13th and 16th centuries, Sufism produced a flourishing intellectual culture throughout the Islamic world, a "Golden Age" whose physical artifacts survive. [citation needed] In many places a person or group would endow a waqf to maintain a lodge (known variously as a zawiya, khanqah, or tekke) to provide a gathering place for Sufi adepts, as well as lodging for itinerant seekers of knowledge. The same system of endowments could also pay for a complex of buildings, such as that surrounding the Süleymaniye Mosque in Istanbul, including a lodge for Sufi seekers, a hospice with kitchens where these seekers could serve the poor and/or complete a period of initiation, a library, and other structures. No important domain in the civilization of Islam remained unaffected by Sufism in this period. Around the turn of the 20th century, Sufi rituals and doctrines also came under sustained criticism from modernist Islamic reformers, liberal nationalists, and, some decades later, socialist movements in the Muslim world. Sufi orders were accused of fostering popular superstitions, resisting modern intellectual attitudes, and standing in the way of progressive reforms. Ideological attacks on Sufism were reinforced by agrarian and educational reforms, as well as new forms of taxation, which were instituted by Westernizing national governments, undermining the economic foundations of Sufi orders. The extent to which Sufi orders declined in the first half of the 20th century varied from country to country, but by the middle of the century the very survival of the orders and traditional Sufi lifestyle appeared doubtful to many observers. In the modern world, the classical interpretation of Sunni orthodoxy, which sees in Sufism an essential dimension of Islam alongside the disciplines of jurisprudence and theology, is represented by institutions such as Egypt's Al-Azhar University and Zaytuna College, with Al-Azhar's current Grand Imam Ahmed el-Tayeb recently defining "Sunni orthodoxy" as being a follower "of any of the four schools of [legal] thought (Hanafi, Shafi’i, Maliki or Hanbali) and ... [also] of the Sufism of Imam Junayd of Baghdad in doctrines, manners and [spiritual] purification." Current Sufi orders include Alians, Bektashi Order, Mevlevi Order, Ba 'Alawiyya, Chishti Order, Jerrahi, Naqshbandi, Mujaddidi, Ni'matullāhī, Qadiriyya, Qalandariyya, Sarwari Qadiriyya, Shadhiliyya, Suhrawardiyya, Saifiah (Naqshbandiah), and Uwaisi. The relationship of Sufi orders to modern societies is usually defined by their relationship to governments. Turkey and Persia together have been a center for many Sufi lineages and orders. The Bektashi were closely affiliated with the Ottoman Janissaries and are the heart of Turkey's large and mostly liberal Alevi population. They have spread westwards to Cyprus, Greece, Albania, Bulgaria, Republic of Macedonia, Bosnia and Herzegovina, Kosovo, and, more recently, to the United States, via Albania. Sufism is popular in such African countries as Egypt, Tunisia, Algeria, Morocco, and Senegal, where it is seen as a mystical expression of Islam. Sufism is traditional in Morocco, but has seen a growing revival with the renewal of Sufism under contemporary spiritual teachers such as Hamza al Qadiri al Boutchichi. Mbacke suggests that one reason Sufism has taken hold in Senegal is because it can accommodate local beliefs and customs, which tend toward the mystical. The life of the Algerian Sufi master Abdelkader El Djezairi is instructive in this regard. Notable as well are the lives of Amadou Bamba and El Hadj Umar Tall in West Africa, and Sheikh Mansur and Imam Shamil in the Caucasus. In the twentieth century, some Muslims have called Sufism a superstitious religion which holds back Islamic achievement in the fields of science and technology. A number of Westerners have embarked with varying degrees of success on the path of Sufism. One of the first to return to Europe as an official representative of a Sufi order, and with the specific purpose to spread Sufism in Western Europe, was the Swedish-born wandering Sufi Ivan Aguéli. René Guénon, the French scholar, became a Sufi in the early twentieth century and was known as Sheikh Abdul Wahid Yahya. His manifold writings defined the practice of Sufism as the essence of Islam, but also pointed to the universality of its message. Other spiritualists, such as George Gurdjieff, may or may not conform to the tenets of Sufism as understood by orthodox Muslims. Other noteworthy Sufi teachers who have been active in the West in recent years include Bawa Muhaiyaddeen, Inayat Khan, Nazim Al-Haqqani, Javad Nurbakhsh, Bulent Rauf, Irina Tweedie, Idries Shah, Muzaffer Ozak, Nahid Angha, and Ali Kianfar. Currently active Sufi academics and publishers include Llewellyn Vaughan-Lee, Nuh Ha Mim Keller, Abdullah Nooruddeen Durkee, Waheed Ashraf, Omer Tarin, Ahmed abdu r Rashid and Timothy Winter. The Tomb of Shah Rukn-e-Alam located in Multan, Pakistan. Known for its multitude of Sufi shrines, Multan is nicknamed the ’’City of Saints’’. While all Muslims believe that they are on the pathway to Allah and hope to become close to God in Paradise—after death and after the Last Judgment—Sufis also believe that it is possible to draw closer to God and to more fully embrace the divine presence in this life. The chief aim of all Sufis is to seek the pleasing of God by working to restore within themselves the primordial state of fitra. According to Moojan Momen "one of the most important doctrines of Sufism is the concept of al-Insan al-Kamil "the Perfect Man". This doctrine states that there will always exist upon the earth a "Qutb" (Pole or Axis of the Universe)—a man who is the perfect channel of grace from God to man and in a state of wilayah (sanctity, being under the protection of Allah). The concept of the Sufi Qutb is similar to that of the Shi'i Imam. However, this belief puts Sufism in "direct conflict" with Shia Islam, since both the Qutb (who for most Sufi orders is the head of the order) and the Imam fulfill the role of "the purveyor of spiritual guidance and of Allah's grace to mankind". The vow of obedience to the Shaykh or Qutb which is taken by Sufis is considered incompatible with devotion to the Imam". Some teachers, especially when addressing more general audiences, or mixed groups of Muslims and non-Muslims, make extensive use of parable, allegory, and metaphor. Although approaches to teaching vary among different Sufi orders, Sufism as a whole is primarily concerned with direct personal experience, and as such has sometimes been compared to other, non-Islamic forms of mysticism (e.g., as in the books of Hossein Nasr). Many Sufi believe that to reach the highest levels of success in Sufism typically requires that the disciple live with and serve the teacher for a long period of time. An example is the folk story about Baha-ud-Din Naqshband Bukhari, who gave his name to the Naqshbandi Order. He is believed to have served his first teacher, Sayyid Muhammad Baba As-Samasi, for 20 years, until as-Samasi died. He is said to then have served several other teachers for lengthy periods of time. He is said to have helped the poorer members of the community for many years and after this concluded his teacher directed him to care for animals cleaning their wounds, and assisting them. Devotion to Muhammad is an exceptionally strong practice within Sufism. Sufis have historically revered Muhammad as the prime personality of spiritual greatness. The Sufi poet Saadi Shirazi stated, "He who chooses a path contrary to that of the prophet, shall never reach the destination. O Saadi, do not think that one can treat that way of purity except in the wake of the chosen one." Rumi attributes his self-control and abstinence from worldly desires as qualities attained by him through the guidance of Muhammad. Rumi states, "I 'sewed' my two eyes shut from [desires for] this world and the next – this I learned from Muhammad." Ibn Arabi regards Muhammad as the greatest man and states, "Muhammad's wisdom is uniqueness (fardiya) because he is the most perfect existent creature of this human species. For this reason, the command began with him and was sealed with him. He was a Prophet while Adam was between water and clay, and his elemental structure is the Seal of the Prophets." Attar of Nishapur claimed that he praised Muhammad in such a manner that was not done before by any poet, in his book the Ilahi-nama. Fariduddin Attar stated, "Muhammad is the exemplar to both worlds, the guide of the descendants of Adam. He is the sun of creation, the moon of the celestial spheres, the all-seeing eye...The seven heavens and the eight gardens of paradise were created for him, he is both the eye and the light in the light of our eyes." Sufis have historically stressed the importance of Muhammad's perfection and his ability to intercede. The persona of Muhammad has historically been and remains an integral and critical aspect of Sufi belief and practice. Bayazid Bastami is recorded to have been so devoted to the sunnah of Muhammad that he refused to eat a watermelon because he could not establish that Muhammad ever ate one. In the 13th century, a Sufi poet from Egypt, Al-Busiri, wrote the al-Kawākib ad-Durrīya fī Madḥ Khayr al-Barīya (The Celestial Lights in Praise of the Best of Creation) commonly referred to as Qaṣīdat al-Burda ("Poem of the Mantle"), in which he extensively praised Muhammad. This poem is still widely recited and sung amongst Sufi groups all over the world. According to Ibn Arabi, Islam is the best religion because of Muhammad. Ibn Arabi regards that the first entity that was brought into existence is the reality or essence of Muhammad (al-ḥaqīqa al-Muhammadiyya). Ibn Arabi regards Muhammad as the supreme human being and master of all creatures. Muhammad is therefore the primary role model for human beings to aspire to emulate. Ibn Arabi believes that God's attributes and names are manifested in this world and that the most complete and perfect display of these divine attributes and names are seen in Muhammad. Ibn Arabi believes that one may see God in the mirror of Muhammad, meaning that the divine attributes of God are manifested through Muhammad. Ibn Arabi maintains that Muhammad is the best proof of God and by knowing Muhammad one knows God. Ibn Arabi also maintains that Muhammad is the master of all of humanity in both this world and the afterlife. In this view, Islam is the best religion, because Muhammad is Islam. The Amman Message, a detailed statement issued by 200 leading Islamic scholars in 2005 in Amman, specifically recognized the validity of Sufism as a part of Islam. This was adopted by the Islamic world's political and temporal leaderships at the Organisation of the Islamic Conference summit at Mecca in December 2005, and by six other international Islamic scholarly assemblies including the International Islamic Fiqh Academy of Jeddah, in July 2006. The definition of Sufism can vary drastically between different traditions (what may be intended is simple tazkiah as opposed to the various manifestations of Sufism around the Islamic world). The term "neo-Sufism" was originally coined by Fazlur Rahman and used by other scholars to describe reformist currents among 18th century Sufi orders, whose goal was to remove some of the more ecstatic and pantheistic elements of the Sufi tradition and reassert the importance of Islamic law as the basis for inner spirituality and social activism. In recent times, it has been increasingly used by scholars like Mark Sedgwick in another sense, to describe various forms of Sufi-influenced sprituality in the West, in particular the deconfessionalized spiritual movements which emphasize universal elements of the Sufi tradition and de-emphasize its Islamic context. Such groups include The Sufi Order in the West, founded by Inayat Khan, which teaches the essential unity of all faiths, and accepts members of all creeds. Sufism Reoriented is an offshoot of it charted by the syncretistic teacher Meher Baba. The Golden Sufi Center exists in England, Switzerland and the United States. It was founded by Llewellyn Vaughan-Lee to continue the work of his teacher Irina Tweedie, herself a practitioner of both Hinduism and neo-Sufism. Other Western Sufi organisations include the Sufi Foundation of America and the International Association of Sufism. Contemporary scholars may also recognize a third branch, attributed to the late Ottoman scholar Said Nursi and explicated in his vast Qur'an commentary called the Risale-i Nur. This approach entails strict adherence to the way of Muhammad, in the understanding that this wont, or sunnah, proposes a complete devotional spirituality adequate to those without access to a master of the Sufi way. Sufism has contributed significantly to the elaboration of theoretical perspectives in many domains of intellectual endeavor. For instance, the doctrine of "subtle centers" or centers of subtle cognition (known as Lataif-e-sitta) addresses the matter of the awakening of spiritual intuition. In general, these subtle centers or latâ'if are thought of as faculties that are to be purified sequentially in order to bring the seeker's wayfaring to completion. A concise and useful summary of this system from a living exponent of this tradition has been published by Muhammad Emin Er. Sufi psychology has influenced many areas of thinking both within and outside of Islam, drawing primarily upon three concepts. Ja'far al-Sadiq (both an imam in the Shia tradition and a respected scholar and link in chains of Sufi transmission in all Islamic sects) held that human beings are dominated by a lower self called the nafs (self, ego, person), a faculty of spiritual intuition called the qalb (heart), and ruh (soul). These interact in various ways, producing the spiritual types of the tyrant (dominated by nafs), the person of faith and moderation (dominated by the spiritual heart), and the person lost in love for God (dominated by the ruh). Of note with regard to the spread of Sufi psychology in the West is Robert Frager, a Sufi teacher authorized in the Khalwati Jerrahi order. Frager was a trained psychologist, born in the United States, who converted to Islam in the course of his practice of Sufism and wrote extensively on Sufism and psychology. The dhikr may slightly vary among each order. Some Sufi orders engage in ritualized dhikr ceremonies, or sema. Sema includes various forms of worship such as recitation, singing (the most well known being the Qawwali music of the Indian subcontinent), instrumental music, dance (most famously the Sufi whirling of the Mevlevi order), incense, meditation, ecstasy, and trance. Sufi whirling (or Sufi spinning) is a form of Sama or physically active meditation which originated among Sufis, and which is still practised by the Sufi Dervishes of the Mevlevi order. It is a customary dance performed within the sema, through which dervishes (also called semazens, from Persian سماعزن) aim to reach the source of all perfection, or kemal. This is sought through abandoning one's nafs, egos or personal desires, by listening to the music, focusing on God, and spinning one's body in repetitive circles, which has been seen as a symbolic imitation of planets in the Solar System orbiting the sun. Qawwali is a form of Sufi devotional music popular in South Asia, usually performed at dargahs. Sufi saint Amir Khusrow is said to have infused Persian, Arabic Turkish and Indian classical musical styles to create the genre in the 13th century. The songs are classified into hamd, na'at, manqabat, marsiya or ghazal, among others. The songs lasting for about 15 to 30 minutes, are performed by a group of singers, and instruments including the harmonium, tabla and dholak are used. Pakistani singing maestro Nusrat Fateh Ali Khan is credited with popularizing qawwali all over the world. Since the first Muslim hagiographies were written during the period when Sufism began its rapid expansion, many of the figures who later came to be regarded as the major saints in Sunni Islam were the early Sufi mystics, like Hasan of Basra (d. 728), Farqad Sabakhi (d. 729), Dawud Tai (d. 777-81) Rabi'a al-'Adawiyya (d. 801), Maruf Karkhi (d. 815), and Junayd of Baghdad (d. 910). From the twelfth to the fourteenth century, "the general veneration of saints, among both people and sovereigns, reached its definitive form with the organization of Sufism ... into orders or brotherhoods." In the common expressions of Islamic piety of this period, the saint was understood to be "a contemplative whose state of spiritual perfection ... [found] permanent expression in the teaching bequeathed to his disciples." In popular Sufism (i.e. devotional practices that have achieved currency in world cultures through Sufi influence), one common practice is to visit or make pilgrimages to the tombs of saints, renowned scholars, and righteous people. This is a particularly common practice in South Asia, where famous tombs include such saints as Sayyid Ali Hamadani in Kulob, Tajikistan; Afāq Khoja, near Kashgar, China; Lal Shahbaz Qalandar in Sindh; Ali Hujwari in Lahore, Pakistan; Bahauddin Zakariya in Multan Pakistan; Moinuddin Chishti in Ajmer, India; Nizamuddin Auliya in Delhi, India; and Shah Jalal in Sylhet, Bangladesh. In Islamic mysticism, karamat (Arabic: کرامات‎ karāmāt, pl. of کرامة karāmah, lit. generosity, high-mindedness) refers to supernatural wonders performed by Muslim saints. In the technical vocabulary of Islamic religious sciences, the singular form karama has a sense similar to charism, a favor or spiritual gift freely bestowed by God. The marvels ascribed to Islamic saints have included supernatural physical actions, predictions of the future, and "interpretation of the secrets of hearts". Historically, a "belief in the miracles of saints (karāmāt al-awliyāʾ, literally 'marvels of the friends [of God]')" has been "a requirement in Sunni Islam." Persecution of Sufis and Sufism has included destruction of Sufi shrines and mosques, suppression of orders, and discrimination against adherents in a number of Muslim-majority countries. The Turkish Republican state banned all Sufi orders and abolished their institutions in 1925 after Sufis opposed the new secular order. The Iranian Islamic Republic has harassed Shia Sufis, reportedly for their lack of support for the government doctrine of "governance of the jurist" (i.e., that the supreme Shiite jurist should be the nation's political leader). In most other Muslim countries, attacks on Sufis and especially their shrines have come from Salafis who believe that practices such as celebration of the birthdays of Sufi saints, and dhikr ("remembrance" of God) ceremonies are bid‘ah or impure innovation, and polytheistic (Shirk). At least 305 people were killed and more than 100 wounded during a November 2017 attack on a mosque in Sinai. Abdul-Qadir Gilani (1077–1166) was a Persian Hanbali jurist and Sufi based in Baghdad. Qadiriyya was his patronym. Gilani spent his early life in Na'if, the town of his birth. There, he pursued the study of Hanbali law. Abu Saeed Mubarak Makhzoomi gave Gilani lessons in fiqh. He was given lessons about hadith by Abu Bakr ibn Muzaffar. He was given lessons about Tafsir by Abu Muhammad Ja'far, a commentator. His Sufi spiritual instructor was Abu'l-Khair Hammad ibn Muslim al-Dabbas. After completing his education, Gilani left Baghdad. He spent twenty-five years as a reclusive wanderer in the desert regions of Iraq. In 1127, Gilani returned to Baghdad and began to preach to the public. He joined the teaching staff of the school belonging to his own teacher, Abu Saeed Mubarak Makhzoomi, and was popular with students. In the morning he taught hadith and tafsir, and in the afternoon he held discourse on the science of the heart and the virtues of the Quran. Abul Hasan ash-Shadhili (died 1258), the founder of the Shadhiliyya order, introduced dhikr jahri (the remembrance of God out loud, as opposed to the silent dhikr). 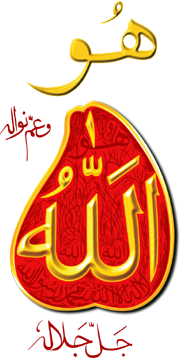 He taught that his followers need not abstain from what Islam has not forbidden, but to be grateful for what God has bestowed upon them, in contrast to the majority of Sufis, who preach to deny oneself and to destroy the ego-self (nafs) "Order of Patience" (Tariqus-Sabr), Shadhiliyya is formulated to be "Order of Gratitude" (Tariqush-Shukr). Imam Shadhili also gave eighteen valuable hizbs (litanies) to his followers out of which the notable Hizb al-Bahr is recited worldwide even today. A manuscript of Sufi Islamic theology, Shams al-Ma'arif (The Book of the Sun of Gnosis), was written by the Algerian Sufi master Ahmad al-Buni during the 12th century. Ahmad al-Tijani Abu al-ʿAbbâs Ahmad ibn Muhammad at-Tijânî or Ahmed Tijani (1735–1815), in Arabic سيدي أحمد التجاني (Sidi Ahmed Tijani), is the founder of the Tijaniyya Sufi order. He was born in a Berber family, in Aïn Madhi, present-day Algeria and died in Fez, Morocco at the age of 80. Bayazid Bastami is a very well recognized and influential Sufi personality. Bastami was born in 804 in Bastam. Bayazid is regarded for his devout commitment to the Sunnah and his dedication to fundamental Islamic principals and practices. Bawa Muhaiyaddeen (died 1986) is a Sufi Sheikh from Sri Lanka. He was first found by a group of religious pilgrims in the early 1900s meditating in the jungles of Kataragama in Sri Lanka (Ceylon). Awed and inspired by his personality and the depth of his wisdom, he was invited to a nearby village. Since that time, people of all walks of life from paupers to prime ministers belonging to all religious and ethnic backgrounds have flocked to see Sheikh Bawa Muhaiyaddeen to seek comfort, guidance and help. Sheikh Bawa Muhaiyaddeen tirelessly spent the rest of his life preaching, healing and comforting the many souls that came to see him. Muhyiddin Muhammad b. 'Ali Ibn 'Arabi (or Ibn al-'Arabi) (AH 561 – AH 638; July 28, 1165 – November 10, 1240) is considered to be one of the most important Sufi masters, although he never founded any order (tariqa). His writings, especially al-Futuhat al-Makkiyya and Fusus al-hikam, have been studied within all the Sufi orders as the clearest expression of tawhid (Divine Unity), though because of their recondite nature they were often only given to initiates. Later those who followed his teaching became known as the school of wahdat al-wujud (the Oneness of Being). He himself considered his writings to have been divinely inspired. As he expressed the Way to one of his close disciples, his legacy is that 'you should never ever abandon your servant-hood (ʿubudiyya), and that there may never be in your soul a longing for any existing thing'. Junayd al-Baghdadi (830–910) was one of the great early Sufis. His order was Junaidia, which links to the golden chain of many Sufi orders. He laid the groundwork for sober mysticism in contrast to that of God-intoxicated Sufis like al-Hallaj, Bayazid Bastami and Abusaeid Abolkheir. During the trial of al-Hallaj, his former disciple, the Caliph of the time demanded his fatwa. In response, he issued this fatwa: "From the outward appearance he is to die and we judge according to the outward appearance and God knows better". He is referred to by Sufis as Sayyid-ut Taifa—i.e., the leader of the group. He lived and died in the city of Baghdad. Mansur Al-Hallaj (died 922) is renowned for his claim, Ana-l-Haqq ("I am The Truth"). His refusal to recant this utterance, which was regarded as apostasy, led to a long trial. He was imprisoned for 11 years in a Baghdad prison, before being tortured and publicly dismembered on March 26, 922. He is still revered by Sufis for his willingness to embrace torture and death rather than recant. It is said that during his prayers, he would say "O Lord! You are the guide of those who are passing through the Valley of Bewilderment. If I am a heretic, enlarge my heresy". She died in Jerusalem and is thought to have been buried in the Chapel of the Ascension. The Bektashi Order was founded in the 13th century by the Islamic saint Haji Bektash Veli, and greatly influenced during its fomulative period by the Hurufi Ali al-'Ala in the 15th century and reorganized by Balım Sultan in the 16th century. The Chishti Order (Persian: چشتیہ‎) was founded by (Khawaja) Abu Ishaq Shami ("the Syrian"; died 941) who brought Sufism to the town of Chisht, some 95 miles east of Herat in present-day Afghanistan. Before returning to the Levant, Shami initiated, trained and deputized the son of the local Emir (Khwaja) Abu Ahmad Abdal (died 966). Under the leadership of Abu Ahmad's descendants, the Chishtiyya as they are also known, flourished as a regional mystical order. The Kubrawiya order is a Sufi order ("tariqa") named after its 13th-century founder Najmuddin Kubra. The Kubrawiya Sufi order was founded in the 13th century by Najmuddin Kubra in Bukhara in modern Uzbekistan. The Mongols had captured Bukhara in 1221, they committed genocide and killed nearly the whole population. Sheikh Nadjm ed-Din Kubra was among those killed by the Mongols. The Mevlevi Order is better known in the West as the "whirling dervishes". Mouride is a large Islamic Sufi order most prominent in Senegal and The Gambia, with headquarters in the holy city of Touba, Senegal. The Naqshbandi order is one of the major Sufi orders of Islam, previously known as Siddiqiyya as the order stems from Mohammad through Abū Bakr as-Șiddīq. It is considered by some to be a "sober" order known for its silent dhikr (remembrance of God) rather than the vocalized forms of dhikr common in other orders. The word "Naqshbandi" (نقشبندی) is Persian, taken from the name of the founder of the order, Baha-ud-Din Naqshband Bukhari. Some have said that the translation means "related to the image-maker", some also consider it to mean "Pattern Maker" rather than "image maker", and interpret "Naqshbandi" to mean "Reformer of Patterns", and others consider it to mean "Way of the Chain" or "Silsilat al-dhahab". The Ni'matullāhī order is the most widespread Sufi order of Persia today. [citation needed] It was founded by Shah Ni'matullah Wali (died 1367), established and transformed from his inheritance of the Ma'rufiyyah circle. There are several suborders in existence today, the most known and influential in the West following the lineage of Dr. Javad Nurbakhsh who brought the order to the West following the 1979 Revolution in Iran. The Qadiri Order is one of the oldest Sufi Orders. It derives its name from Abdul-Qadir Gilani (1077–1166), a native of the Iranian province of Gīlān. The order is one of the most widespread of the Sufi orders in the Islamic world, and has a huge presence in Central Asia, Pakistan, Turkey, Balkans and much of East and West Africa. The Qadiriyyah have not developed any distinctive doctrines or teachings outside of mainstream Islam. They believe in the fundamental principles of Islam, but interpreted through mystical experience. The Shadhili is a Sufi order founded by Abu-l-Hassan ash-Shadhili. Ikhwans (Murids - followers) of the Shadhiliyya are often known as Shadhilis. Fassiya a branch of Shadhiliyya founded by Imam al Fassi of Makkah is the widely practiced Sufi order in Saudi Arabia, Egypt, India, Sri Lanka, Bangladesh, Pakistan, Malaysia, Singapore, Mauritius, Indonesia and other middle east countries. The Suhrawardiyya order (Arabic: سهروردية‎) is a Sufi order founded by Abu al-Najib al-Suhrawardi (1097–1168). The order was formalized by his nephew, Shahab al-Din Abu Hafs Umar Suhrawardi. Emblem of Qadiriyya Sufi Order. Inscription : Ali Wali Ullah (Ali is the Authority of Allah on the Earth). Sufi mysticism has long exercised a fascination upon the Western world, and especially its Orientalist scholars. Figures like Rumi have become well known in the United States, where Sufism is perceived as a peaceful and apolitical form of Islam. Orientalists have proposed a variety of diverse theories pertaining to the nature of Sufism, such as it being influenced by Neoplatonism or as an Aryan historical reaction against "Semitic" cultural influence. Hossein Nasr states that the preceding theories are false according to the point of view of Sufism. The Islamic Institute in Mannheim, Germany, which works towards the integration of Europe and Muslims, sees Sufism as particularly suited for interreligious dialogue and intercultural harmonisation in democratic and pluralist societies; it has described Sufism as a symbol of tolerance and humanism—nondogmatic, flexible and non-violent. According to Philip Jenkins, a Professor at Baylor University, "the Sufis are much more than tactical allies for the West: they are, potentially, the greatest hope for pluralism and democracy within Muslim nations." Likewise, several governments and organisations have advocated the promotion of Sufism as a means of combating intolerant and violent strains of Islam. For example, the Chinese and Russian governments openly favor Sufism as the best means of protecting against Islamist subversion. The British government, especially following the 7 July 2005 London bombings, has favoured Sufi groups in its battle against Muslim extremist currents. The influential RAND Corporation, an American think-tank, issued a major report titled "Building Moderate Muslim Networks," which urged the US government to form links with and bolster Muslim groups that opposed Islamist extremism. The report stressed the Sufi role as moderate traditionalists open to change, and thus as allies against violence. News organisations such as the BBC, Economist and Boston Globe have also seen Sufism as a means to deal with violent Muslim extremists. Idries Shah states that Sufism is universal in nature, its roots predating the rise of Islam and Christianity. He quotes Suhrawardi as saying that "this [Sufism] was a form of wisdom known to and practiced by a succession of sages including the mysterious ancient Hermes of Egypt. ", and that Ibn al-Farid "stresses that Sufism lies behind and before systematization; that 'our wine existed before what you call the grape and the vine' (the school and the system)..." Shah's views have however been rejected by modern scholars. Such modern trends of neo-Sufis in Western countries allow non-Muslims to receive "instructions on following the Sufi path", not without opposition by Muslims who consider such instruction outside the sphere of Islam. Both Judaism and Islam are monotheistic. There is evidence that Sufism did influence the development of some schools of Jewish philosophy and ethics. In the first writing of this kind, we see "Kitab al-Hidayah ila Fara'iḍ al-Ḳulub", Duties of the Heart, of Bahya ibn Paquda. This book was translated by Judah ibn Tibbon into Hebrew under the title "Ḥōḇōṯ Ha-lleḇāḇōṯ". Abraham ben Moses ben Maimon, the son of the Jewish philosopher Maimonides, believed that Sufi practices and doctrines continue the tradition of the Biblical prophets. See Sefer Hammaspiq, "Happerishuth", Chapter 11 ("Ha-mmaʿaḇāq") s.v. hithbonen efo be-masoreth mufla'a zo, citing the Talmudic explanation of Jeremiah 13:27 in Chagigah 5b; in Rabbi Yaakov Wincelberg's translation, "The Way of Serving God" (Feldheim), p. 429 and above, p. 427. Also see ibid., Chapter 10 ("Iqquḇim"), s.v. wa-halo yoḏeʾaʿ atta; in "The Way of Serving God", p. 371. The Jewish Encyclopedia in its entry on Sufism states that the revival of Jewish mysticism in Muslim countries is probably due to the spread of Sufism in the same geographical areas. The entry details many parallels to Sufic concepts found in the writings of prominent Kabbalists during the Golden age of Jewish culture in Spain. In 2005, Rabbi Shergill released a Sufi rock song called "Bulla Ki Jaana", which became a chart-topper in India and Pakistan. The 13h century Persian poet Rumi, is considered one of the most influential figures of Sufism, as well as one of the greatest poets of all time. He has become one of the most widely read poets in the United States, thanks largely to the interpretative translations published by Coleman Barks. Elif Şafak's novel The Forty Rules of Love is a fictionalized account of Rumi's encounter with the Persian dervish Shams Tabrizi. Allama Iqbal, one of the greatest Urdu poets has discussed Sufism, philosophy and Islam in his English work The Reconstruction of Religious Thought in Islam. Tomb of Syed Faiz-ul Hassan Shah and Muhammad Amin Shah Sani in Allo Mahar, Sialkot. Tomb of Syed Muhammad Jewan Shah Naqvi in Allo Mahar, Sialkot. Mausoleum of Makhdoom Shah Daulat (d. 1608). Ibrahim Khan, the Mughal governor of Bihar, completed his mausoleum in 1616 during the reign of the Mughal Emperor Jahangir. ^ Compare: Nasr, Seyyed Hossein (2007). Chittick, William C. (ed.). The Essential Seyyed Hossein Nasr. The perennial philosophy series. Bloomington, Indiana: World Wisdom, Inc. p. 74. ISBN 9781933316383. Retrieved 2017-06-24. Sufism is the esoteric or inward dimension of Islam [...] Islamic esoterism is, however [...] not exhausted by Sufism [...] but the main manifestation and the most important and central crystallization of Islamic esotericism is to be found in Sufism. ^ Editors, The (2014-02-04). "tariqa | Islam". Britannica.com. Retrieved 29 May 2015. ^ Glassé 2008, p. 499. ^ Bin Jamil Zeno, Muhammad (1996). The Pillars of Islam & Iman. Darussalam. pp. 19–. ISBN 978-9960-897-12-7. ^ a b c d e f g Fitzpatrick & Walker 2014, p. 446. ^ Schimmel, Annemarie (2014-11-25). "Sufism | Islam". Britannica.com. Retrieved 2018-06-26. Opposed to the dry casuistry of the lawyer-divines, the mystics nevertheless scrupulously observed the commands of the divine law. [...] the mystics belonged to all schools of Islamic law and theology of the times. ^ G. R Hawting (2002). The First Dynasty of Islam: The Umayyad Caliphate 661-750. Taylor & Francis. ISBN 978-0-203-13700-0. ^ Sells 1996, p. 1. ^ Chittick 2007, p. 22. ^ a b c d William C. Chittick (2009). "Sufism. ṢūfĪ Thought and Practice". In John L. Esposito (ed.). The Oxford Encyclopedia of the Islamic World. Oxford: Oxford University Press. ^ Alan Godlas. "Sufism, Sufis, and Sufi Orders: Sufism's Many Paths". University of Georgia (personal website). ^ William C. Chittick (2009). "Sufism. Sūfī Thought and Practice". In John L. Esposito (ed.). The Oxford Encyclopedia of the Islamic World. Oxford: Oxford University Press. ^ "Sufism in Islam". Mac.abc.se. Archived from the original on April 17, 2012. Retrieved 13 August 2012. ^ "Origin of sufism – Qadiri". Sufi Way. 2003. Retrieved 13 August 2012. ^ a b "Khalifa Ali bin Abu Talib - Ali, The Father of Sufism - Alim.org". Retrieved 27 September 2014. ^ "Taking Initiation (Bay'ah) | The Naqshbandiyya Nazimiyya Sufi Order of America: Sufism and Spirituality". naqshbandi.org. Retrieved 2017-05-12. ^ Brown, Jonathan A.C. (2014). Misquoting Muhammad: The Challenge and Choices of Interpreting the Prophet's Legacy. Oneworld Publications. p. 58. ISBN 978-1780744209. Retrieved 4 June 2018. ^ a b Chittick 2007. ^ Nasr, Hossein (1993). An Introduction to Islamic Cosmological Doctrines. SUNY Press. ISBN 978-0-7914-1515-3. ^ Ibn Khallikan's Biographical Dictionary, translated by William McGuckin de Slane. Paris: Oriental Translation Fund of Great Britain and Ireland. Sold by Institut de France and Royal Library of Belgium. Vol. 3, p. 209. ^ Ahmet T. Karamustafa, Sufism: The Formative Period, pg. 58. Berkeley: University of California Press, 2007. ^ Kabbani, Muhammad Hisham (2004). Classical Islam and the Naqshbandi Sufi Tradition. Islamic Supreme Council of America. p. 557. ISBN 978-1-930409-23-1. ^ a b "Dr. Jonathan AC Brown - What is Sufism?". youtube.com. 13 May 2015. ^ Faridi, Shaikh Shahidullah. "The Meaning of Tasawwuf". www.masud.co.uk. Retrieved 2017-05-12. ^ a b "Is orthodox Islam possible without Sufism? - Shaykh Abdal Hakim Murad (Dr. Timothy Winter)". youtube.com. 13 May 2015. ^ a b "Profile of Sheikh Ahmad Muhammad Al-Tayyeb on The Muslim 500". The Muslim 500: The World's Most Influential Muslims. Archived from the original on 2017-06-06. Retrieved 2017-06-04. ^ "Caner Dagli, "Rumi, the Qur'an, and Heterodoxy," note on Facebook". facebook.com. 6 January 2015. ^ "Home". Fons Vitae. Archived from the original on 24 September 2015. Retrieved 29 May 2015. ^ "Dr. Jonathan AC Brown - What is Sufism?". youtube.com. 27 December 2015. ^ a b c John O. Voll (2009). "ṢūfĪ Orders". In John L. Esposito (ed.). The Oxford Encyclopedia of the Islamic World. Oxford: Oxford University Press. ^ Babou 2007, p. 184–6. ^ Mbacké & Hunwick 2005. ^ Chodkiewicz 1995, p. introduction. ^ "Sufism – Oxford Islamic Studies Online". oxfordislamicstudies.com. Retrieved 26 August 2015. ^ "Sufism, Sufis, and Sufi Orders: Sufism's Many Paths". uga.edu. Retrieved 26 August 2015. ^ Abul Hasan ash-Shadhili (1993). The School of the Shadhdhuliyyah. Islamic Texts Society. ISBN 978-0-946621-57-6. ^ Mohammad Najib-ur-Rehman Madzillah-ul-Aqdus (2015). Sultan Bahoo: The Life and Teachings. Sultan ul Faqr Publications. ISBN 978-969-9795-18-3. ^ Gamard 2004, p. 169. ^ Schimmel 2013, p. 99. ^ The Amman Message Summary. Retrieved on Feb 2, 2010. ^ John O. Voll (2009). "Sufism. ṢūfĪ Orders.". In John L. Esposito (ed.). The Oxford Encyclopedia of the Islamic World. Oxford: Oxford University Press. ^ a b Julia Howell. "Sufism in the Modern World". Oxford Islamic Studies Online. ^ "The Naqshbandi Way of Dhikr". Archived from the original on 1997-05-29. Retrieved 26 August 2015. ^ "Muraqaba". Archived from the original on 2015-06-09. ^ "The Sema of the Mevlevi". Mevlevi Order of America. Archived from the original on 2012-12-21. Retrieved 2009-03-26. ^ "Nusrat Fateh Ali Khan : National Geographic World Music". 2013-03-20. Archived from the original on 2013-03-20. Retrieved 2018-10-09. ^ Hans Wehr, J. Milton Cowan (1979). A Dictionary of Modern Written Arabic (4th ed.). Spoken Language Services. ^ Mir, Tariq. "Kashmir: From Sufi to Salafi". November 5, 2012. Pulitzer Center on Crisis Reporting. Retrieved 20 February 2013. ^ "Salafi Violence against Sufis". Islamopedia Online. Archived from the original on 2013-05-30. Retrieved 24 February 2013. ^ "Thareeqush Shukr". Shazuli.com. Retrieved 13 August 2012. ^ "Deen islam -Hizb ul Bahr – Litany of the Sea". Retrieved 27 September 2014. ^ Jestice, Phyllis G. (2004-12-15). Holy people of the world: a cross-cultural encyclopedia. ABC-CLIO. p. 858. ISBN 9781576073551. ^ Willis, John Ralph (2012-10-12). Studies in West African Islamic History: Volume 1: The Cultivators of Islam, Volume 2: The Evolution of Islamic Institutions & Volume 3: The Growth of Arabic Literature. Routledge. p. 234. ISBN 9781136251603. ^ SILVA FILHO, Mário Alves da. A Mística Islâmica em Terræ Brasilis: o Sufismo e as Ordens Sufis em São Paulo Archived 2015-04-14 at the Wayback Machine. Dissertação (Mestrado em Ciências da Religião). São Paulo: PUC/SP, 2012. ^ "Saif ed-Din Bokharzi & Bayan-Quli Khan Mausoleums". Retrieved 15 February 2015. ^ "Mourides Celebrate 19 Years in North America" by Ayesha Attah. The African magazine. (n.d.) Retrieved 13 November 2007. ^ Metz, Helen Chapin. "The Sanusi Order". Libya: A Country Study. GPO for the Library of Congress. Retrieved 28 February 2011. ^ "Hazrat Sultan Bahu". yabahu.com. Archived from the original on 27 March 2015. Retrieved 26 August 2015. ^ a b "Home – ZIKR". zikr.co.uk. Retrieved 26 August 2015. ^ Corbett, Rosemary R. (2016). Making Moderate Islam: Sufism, Service, and the "Ground Zero Mosque" Controversy. Stanford University Press. Archived from the original on 2016-10-29. Retrieved 2019-01-02. ^ a b Nasr, Seyyed Hossein Nasr (1993-01-01). An Introduction to Islamic Cosmological Doctrines. ISBN 9780791415153. Retrieved 17 January 2015. ^ Philip Jenkins (January 25, 2009). "Mystical power". Globe Newspaper Company. Archived from the original on 2014-07-08. Retrieved 26 June 2014. ^ Tom Parfitt (23 November 2007). "The battle for the soul of Chechnya". Guardian News and Media Limited. Archived from the original on 2014-09-14. Retrieved 26 June 2014. ^ "Sufism: Of saints and sinners". The Economist Newspaper. Dec 18, 2008. Archived from the original on 2014-05-16. Retrieved 26 June 2014. ^ "MUSLIM NETWORKS AND MOVEMENTS IN WESTERN EUROPE". Pew Research Center. Government Promotion of Sufism. September 15, 2010. Archived from the original on 2014-06-23. Retrieved 26 June 2014. ^ ALI ETERAZ (June 10, 2009). "State-Sponsored Sufism". FP. Archived from the original on 2014-09-14. Retrieved 26 June 2014. ^ "Sufism, Sufis, and Sufi Orders: Sufism's Many Paths". Uga.edu. Archived from the original on 2011-10-27. Retrieved 13 August 2012. ^ Mireille Loubet. "Jewish pietism of the Sufi type". bcrfj.revues.org. Retrieved 26 August 2015. ^ Jewish Encyclopedia. 1906. pp. Vol. 11, 579–581. ^ Zeeshan Jawed (4 June 2005). "Soundscape for the soul". The Telegraph. Calcutta. Retrieved 23 April 2008. ^ Bageshree S. (26 March 2005). "Urban balladeer". The Hindu. Chennai, India. Retrieved 23 April 2008. ^ Curiel, Jonathan (6 February 2005). "Islamic verses / The influence of Muslim literature in the United States has grown stronger since the Sept. 11 attacks". SFGate. ^ "The Forty Rules of Love by Elif Shafak – review". The Guardian. 2011-07-01. ISSN 0261-3077. Retrieved 2017-05-05. Chittick, William (2007). Sufism: A Beginner's Guide. Oneworld Publications. ISBN 978-1-78074-052-2. Chodkiewicz, Michel (1995). The Spiritual Writings of Amir ʿAbd al-Kader. SUNY Press. ISBN 978-0-7914-2446-9. Fitzpatrick, Coeli; Walker, Hani (2014). Muhammad in History, Theory, and Culture. ABC-Clio. ISBN 9781610691789. Gamard, Ibrahim (2004). Rumi and Islam: Selections from His Stories, Poems, and Discourses, Annotated & Explained. SkyLight Paths Publishing. ISBN 978-1-59473-002-3. Glassé, Cyril (2008). The New Encyclopedia of Islam. Rowman & Littlefield Publishers. ISBN 978-0-7425-6296-7. Guénon, René (2001). Insights Into Islamic Esoterism and Taoism. Sophia Perennis. ISBN 978-0-900588-43-3. Mbacké, Khadim; Hunwick, John O. (2005). Sufism and Religious Brotherhoods in Senegal. Markus Wiener Publishers. ISBN 978-1-55876-342-5. Schimmel, Annemarie (2013). Mystical Dimension of Islam. Noura Books. ISBN 978-979-433-797-4. Schmidle, Nicholas (December 2008). "Pakistan's Sufis Preach Faith and Ecstasy". Smithsonian Magazine. Archived from the original on 2009-01-22. Sells, Michael (1996). Early Islamic Mysticism: Sufi, Qurʼan, Miraj, Poetic and Theological Writings. Paulist Press. ISBN 978-0-8091-3619-3.